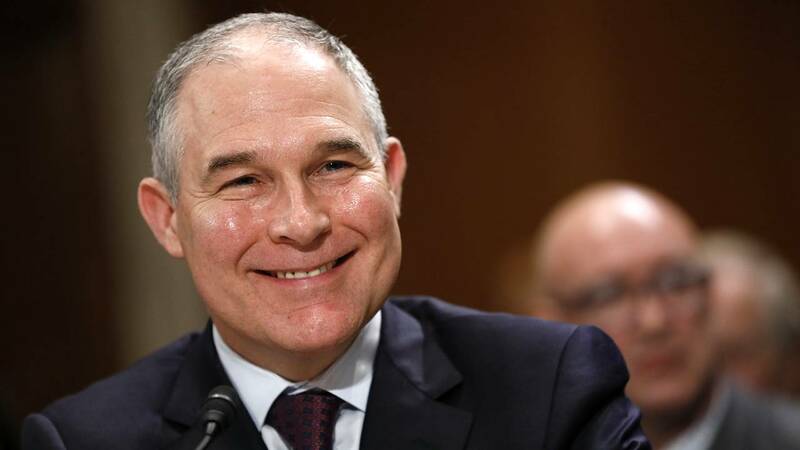 WASHINGTON (CNN) - Environmental Protection Agency Administrator Scott Pruitt has used taxpayer funds to purchase first-class airfare and spend nights at luxury hotels more often than his predecessors, according to records first analyzed by The Washington Post. According to the Post, Pruitt's travel choices distinguish him from his predecessors in that he brings a larger group of aides with him on trips, he usually flies first or business class on international and domestic trips, and he often flies Delta Airlines even though the government has contracts with certain airlines on specific routes. Records obtained by the Environmental Integrity Project and The Washington Post via the Freedom of Information Act show that the EPA often cited unspecified security concerns for flying first class. As the Post notes, federal regulations say agencies can authorize first-class travel under "exceptional security circumstances." Regulations permit first-class travel when using coach would endanger a traveler's life or government property, when the traveler is part of a security detail accompanying someone traveling in first-class, or the traveler is a courier. One trip to Rome for Pruitt and his entourage of aides, which included a ride from a White House event in Cincinnati to New York in a military jet, cost at least $90,000, excluding the cost of his security detail's 24/7 support. This isn't the first time Pruitt's spending at the EPA has been the subject of scrutiny. The EPA's inspector general expanded its probe into Pruitt's travel last October. And last month, the inspector general said it would be looking into agency spending for Pruitt's security detail. And last year, the EPA spent close to $25,000 to construct a secure phone booth for Pruitt, according to the Post.